That sure is a whole lotta talent for a $2 cover charge!!! In another world, far away, penguins lived far more interesting lives than they do today. They fought grand battles across the expanse of Antarctica, in the bitter cold and wind. 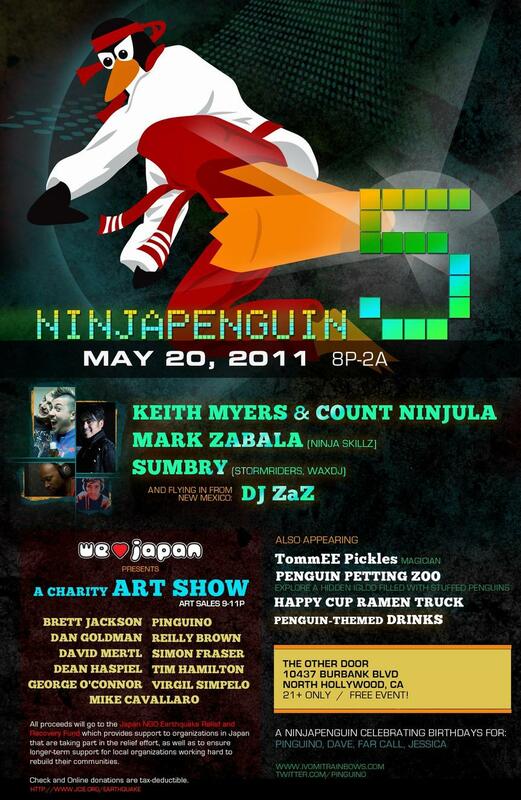 Come experience the shadowy world of penguins at NinjaPenguin 5! Penguin Petting Zoo in an IGLOO!!! A Birthday Extravaganza for Pinguino, Dave, Farcall, and Jessica!! This show is dedicated to honoring the memory of our beloved friend Preston. We will miss you very much my friend. Continue your journey in peace. best talents available and come away from our shows knowing that you have just experienced something amazing. MICHAEL MANNINO in a dedication set to our beloved friend Preston Grover. Happy Birthday to KRYSTLE BOONE, ANDREW SWANSON & JOHN BARNHART!!! We're keeping things simple and FUN as always!!! we've added extra security to ensure everyones safety. 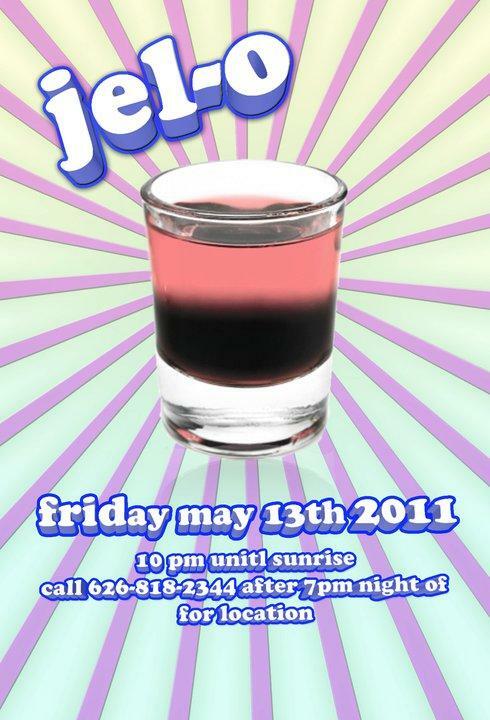 Call 626.818.2344 after 7pm night of for location details. 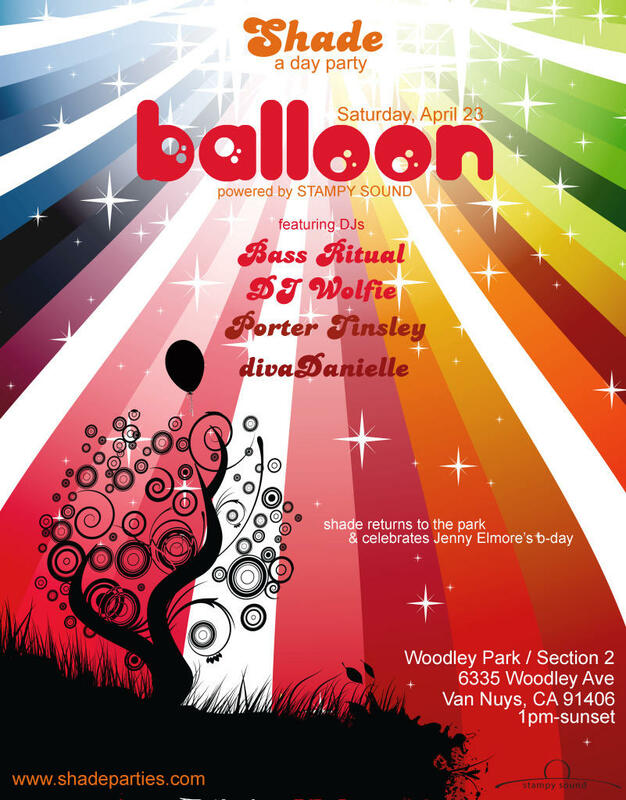 Shade returns to Woodley Park and celebrates our lovely friend Jenny Elmore's B-day! LETS KEEP THE WEEKEND MOVING ON! 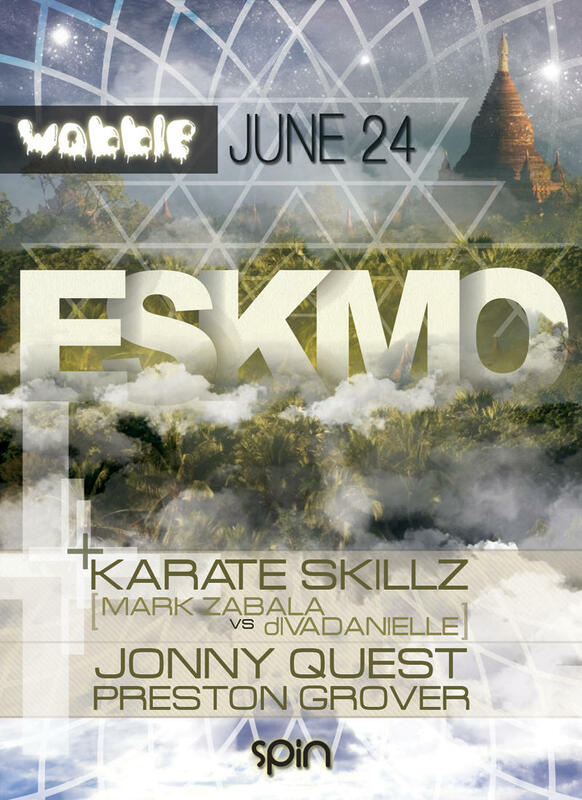 2 ROOMS FILLED WITH MORE AMAZING BEATS! THIS LINE UP IS TOP NOTCH! Details of Downtown Location will be sent once you buy a ticket. Mecca Festival is a creatively engineered 3 day, 2 night event that invites everyone to become apart of the positive and inspiring design. From 70+ Dj sets and live bands, vendors and live art installations - To the untouched desert expanses that will house the hundreds of beautiful festival goers. 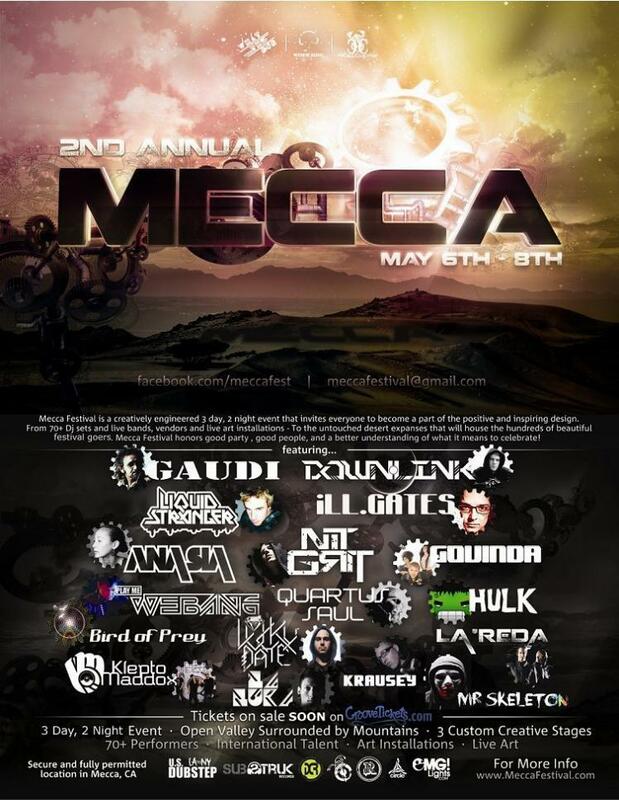 Mecca Festival honors good party , good people, and a better understanding of what it means to celebrate! Secure Venue location in Mecca,CA. 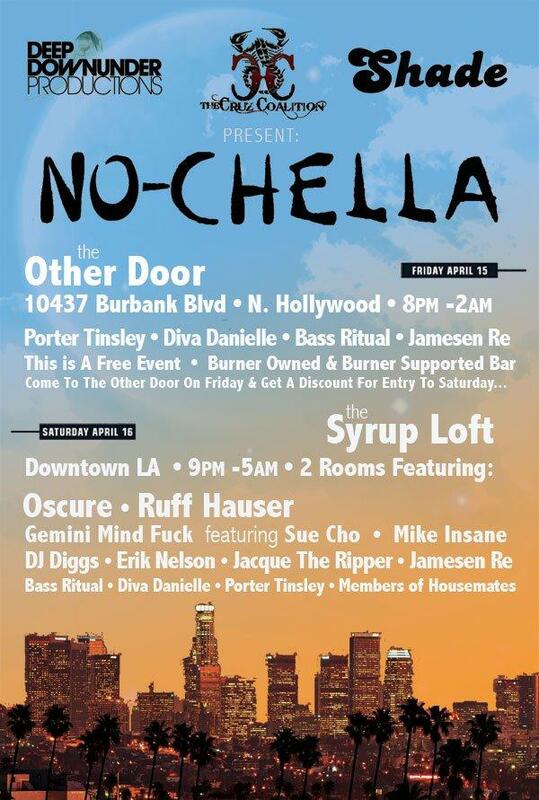 Opulent Temple returns to LA. for a special event not to be missed. 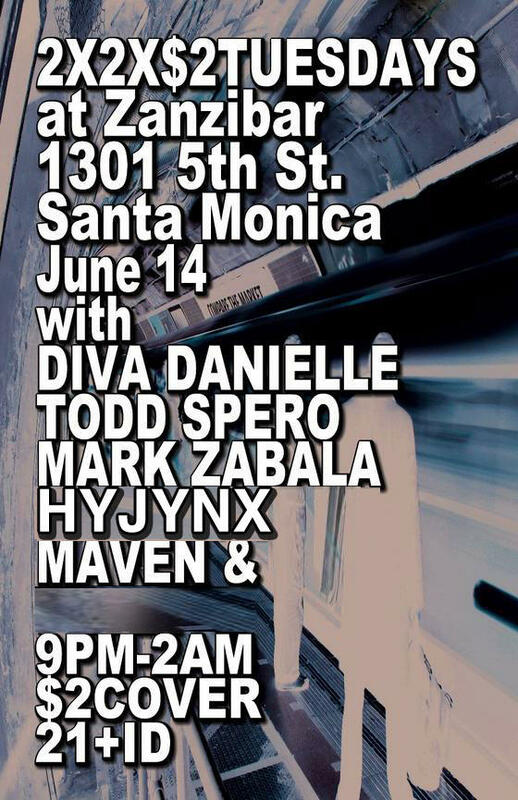 9pm-2:00am - Come Early ! Adjust your clubbing clock accordingly, you won't want to miss a beat. Early is the new late.